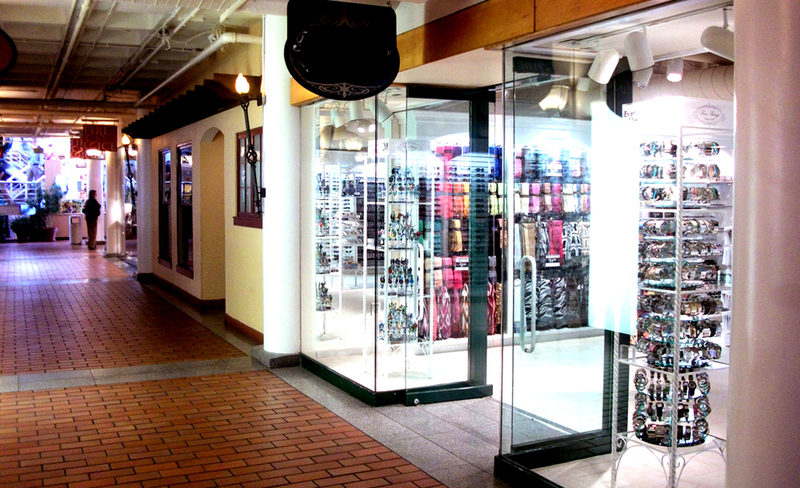 SNI is the exclusive supplier of all products and provides full hands-on merchandising support for hundreds of highly successful “Everything’s $10” retail accessory boutiques located in prime locations (casinos, airports, tourist destinations, cruise ships) throughout the USA, Canada and elsewhere. If you have never been to one of our $10 Boutique’s (operating under many different names) or have not seen our merchandise, you will be as amazed by the incredible product selection and the scores of customers, men and women, making purchases - 3, 6, 9, or 12 items at a time! Customers recognize real values and real savings when they’ve previously seen merchandise of this kind selling in upscale boutiques and fine department stores or being advertised at much higher prices than $10. All of our products have perceived values far greater than $10. There is no “$10” brand name associated with any of the products, so people don’t hesitate to buy items as gifts for friends and relatives, thus resulting in higher daily sales. Sparkling classic and fashion watches, colorful imported pashmina-style shawls, 100% fine silk neckties, bracelets, necklaces, earrings, sunglasses, scarves, genuine leathers, wallets, belts, purses, clutches, handbags and evening bags...just to mention a few! Our team continuously sources the globe for the newest styles and monitors the fashions of Hollywood’s biggest stars to ensure that the offerings in our stores are always exciting and on trend. Click here to view $10 Boutique online.